Turn left onto Glenridge Drive. Turn right onto Hammond Drive. Turn right onto Peachtree-Dunwoody Road. 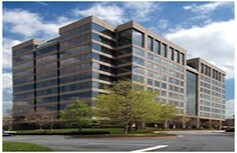 Office Complex – 5909 Peachtree-Dunwoody Road. We are in the first building on your left, Building D, after the parking garage. Take Exit #28 (Peachtree-Dunwoody Road). Complex – 5909 Peachtree-Dunwoody Road. We are in the first building on the left, Building D, after the parking garage. Turn left onto Peachtree-Dunwoody Road. Johnson Ferry Road. and under the I-285 overpass. We are in the first building on the left after the parking garage. NOTE: If you park in the time restricted parking areas, please be aware that these restricted areas are monitored and the time limit is strictly enforced by Tishman-Speyer Property Management. Weissman PC., unfortunately, will not be responsible for your FINE and has no control or influence in having the boot fee waived. Thank you in advance for your cooperation and understanding.